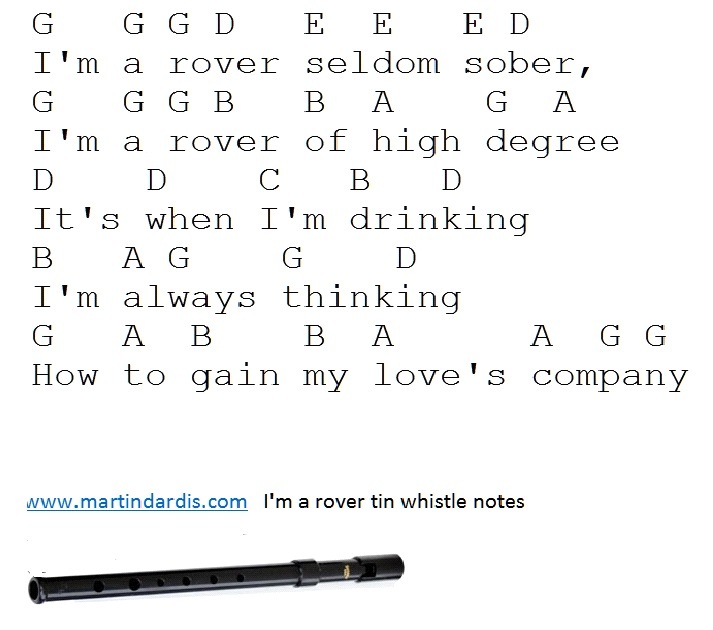 I'm A Rover Seldom Sober Sheet Music with tin whistle notes-Irish Song-The Dubliners. A traditional song probibly from Scotland, also recorded by The Wolfe Tones with slightly different words. I have also included the first verse with lyrics and the chorus where I use letter notes along with a youtube video lesson for people who can't read sheet music. Banjo and mandolin tab also included.